Dr. Cole earned her PhD on Tourism Services in 1998 from Texas A&M University. 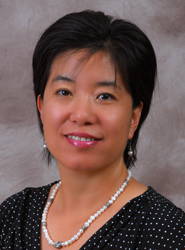 She served as Assistant Professor at University of Missouri from 2000 to 2006. Currently she is serving as Associate Professor at Department of research & graduate studies in Indiana University since 2006. Dr. Cole's research area is in tourism marketing with a focus on tourist experience management. Specifically, I am interested in factors influencing tourist experiences at attractions and destinations, the inter-relationships among service quality, satisfaction and behavioral intentions, and the cultural and psychological antecedents of service evaluations, satisfaction, and behavioral intentions.